Site for 1/72-76 scale Military Modellers. Designed to replace the ww II Universal Carrier it never did completely. This site is dedicated to 1/72-76 Military Modelling. Finally corrected broken links and added some "lost" programs. I have a new Digital camera so I hope to add new pictures soon. Landships, British World War One Armour. Flakpanzers, Ostwind, Wirbelwind and some experiments. Long Tom and High Speed Tractor, Heavy Artillery. Tank-CAM V2. (Computer Aided Modelling) New Version ready!!!! PhotoModeller Lite, make drawings from pictures. Scale Calculator program by Frank Crenshaw. Cromwell's 1/76 scale V-1 with launching ramp. Giesbers Models, more Marmon-Herrington variants. Pz III, IV and Cromwell, review of the latest Revell model kits. T-26 Light Tanks,A new series by Skif. 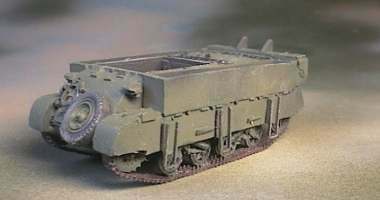 British WW 1 Heavy Tank Mk I/II, notes on conversion of Airfix Tank Mk I.
British WW 1 Heavy Tank Mk IV, notes on conversion of Airfix Tank Mk IV. Links and addresses, more information.